Saint Clair Systems rings out 2017 by offering automotive paint finishers detailed, objective data on the impact of paint temperature on their paint finish quality. In a series of controlled laboratory experiments, Saint Clair Systems teamed with Carlisle Fluid Technologies and BYK-Gardner to test the relationship between paint temperature and finish quality. 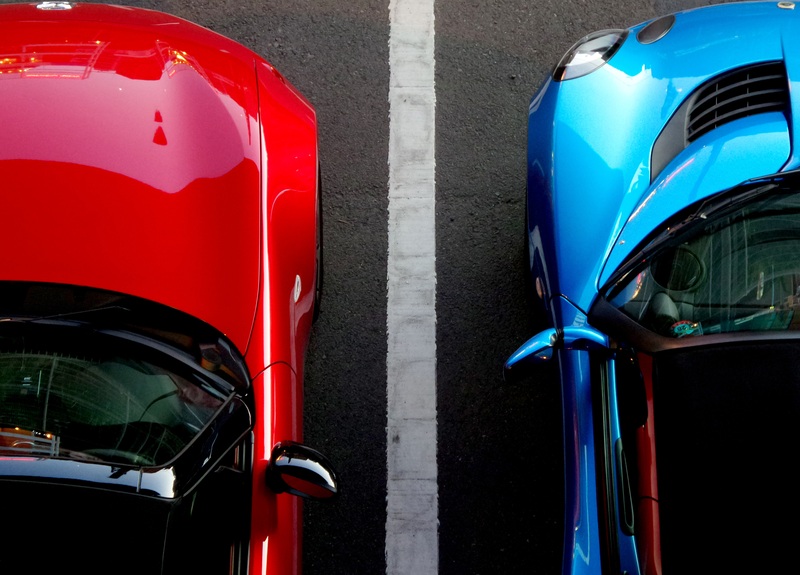 The resulting data demonstrates that the two are intrinsically linked, quantifying the incredible quality improvements and cost savings that temperature control can provide for automotive paint finishers. This comprehensive study is a first for the paint finishing industry. Automotive finishing is set for incredible growth. According to a report from Research and Markets, from $8.82 billion in 2015, the global industry is projected to hit $12.54 billion by 2022! This growth is being driven by expanding markets overseas — especially in China — as well as strict environmental regulations at home and in Europe that are expected to increase the demand for waterborne, UV cure, and powder coatings. What does this mean for automotive finishers? What does this mean for you as an automotive finisher? In a word: “opportunity.” But only if you can keep up with the higher quality standards that will invariably accompany the increase in demand. As a market grows, customers expect more from their suppliers, so automotive painters will have to find ways to ensure that their finishes are free of blemishes, defects, and imperfections. That’s certainly a tall order, especially considering that, even today, some of the top automotive manufacturers struggle to control issues such as orange peel (as shown in this video). But, fortunately, it’s not impossible. 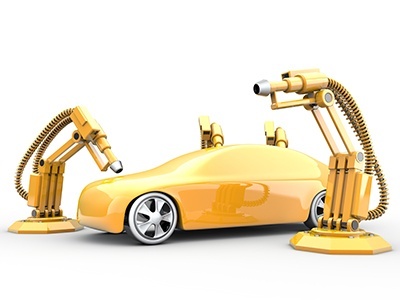 How can automotive finishers keep up with rising quality demands? One solution can be found in paint temperature control. Saint Clair Systems has demonstrated that there is a direct and measurable correlation between paint temperature and surface finish quality. In fact, paint temperature can be used as a tool to avoid surface imperfections on a finished part. These conclusions were confirmed in a series of lab experiments performed in partnership with Carlisle Fluid Technologies, a global leader in surface finishing equipment with hundreds of years of experience in the industry across its brands (which include Binks and DeVilbiss, two companies started by the acknowledged inventors of paint spraying technology), and BYK-Gardner, a global leader in finish quality measurement, whose “Wavescan” is the “Gold Standard” for measurement of orange peel. In this Design-of-experiments, panels were sprayed at different temperatures across a range of finishing variables. Put simply, one way to keep up with the rising demand the finishing industry will see over the next roughly four years is maintaining rigorous process control. And this study shows the importance of paint temperature as one of those critical variables. Automotive finishers need to identify the ideal application temperature for each of their paints, and then they need to maintain that temperature as part of their process. This is where a comprehensive paint temperature control system is important. You can do everything possible to control your process variables, including robotic applicators and controlled booths, but unless you’re controlling your paint temperature, you’re still going to see intermittent finish quality issues. It’s a science all its own. Well-designed paint temperature control systems use a variety of technologies to manage temperature at the most critical point in your process – the point of application. This is a key way to ensure you get your slice of that $12.54-billion-dollar pie! If you’d like more information on custom paint temperature control systems designed specifically for your application, contact Saint Clair Systems. Exciting things are coming in the near future in the field of automotive paint. Over the next few years, automotive paint finishers will be able to offer truly stunning new paint technologies that will greatly improve both the appearance and the function of their vehicles. What do consumers have to look forward to? At the 250th National Meeting & Exposition of the American Chemical Society (ACS) in 2015, researchers from the Johns Hopkins University Applied Physics Lab made painting history. They presented a new glass-based paint (made of silica and potassium silicate) which, rather than absorbing the sun’s rays like most paints do, reflects them. This environmentally-friendly paint will keep cars cool, even in blistering summer heat. And, it’s available now on select models. How would you like to never have to wash your car again? In 2016, Nissan announced that it had developed a super-hydrophobic self-cleaning car paint, the result of prototype experiments conducted in 2014. Similar to Rustoleum’s “Never Wet” product, nanoscopic peaks in the surface of this paint make it difficult for water, dirt, oil, and other materials to adhere, so they simply slide off instead. As a result, the car gets less dirty than a vehicle without the paint, as demonstrated in this video. Never having to wash your car again is one thing, but what if you didn’t have to worry about scratches? Nissan has also experimented with a self-healing paint that repairs scratches in its surface – much as your skin does – only faster! It’s formulated using a material called chitosan, derived from the chitin in the shells of crabs and lobsters. When the surface gets scratched, the chitosan in the paint, activated by the sun, stitches together the damage via synthetic chains created in conjunction with other compounds in the paint, healing itself in less than an hour! This technology is still being perfected, so you’ll have to stay on the lookout for run-away shopping carts in the parking lot for a while longer. Heat-sensitive color-changing paint, or thermochromic paint, changes color as a function of temperature. Below the threshold temperature, the paint appears as one solid color, but when it surpasses that temperature, it turns transparent, showing whatever colors or images have been painted underneath. This can result in some very interesting effects, as demonstrated in this video. Like self-healing and self-cleaning technologies, thermochromic paints are not yet available on the mass market. How will these new paints affect automotive finishers? While exciting, these new technologies will further complicate the automotive finishing process. This will make process control even more critical than it is today to ensure the desired results. Saint Clair Systems has tested the relationship between paint temperature and finish quality in the field, and in the lab, and the resulting data shows that paint temperature is a significant factor when it comes to consistent and repeatable surface finish quality. So if you’re a finisher contemplating one of these new technologies, or just looking to improve your results with your current technology, contact us to discuss how adding paint temperature to your list of controlled variables can create better outcomes. If you’re not sure where to begin when it comes to paint temperature control, or you’d like advice regarding your particular application, contact Saint Clair Systems directly. It’s probably a safe bet to assume that you’ve picked up a can of spray paint and used it to quickly and efficiently complete some type of home painting project. 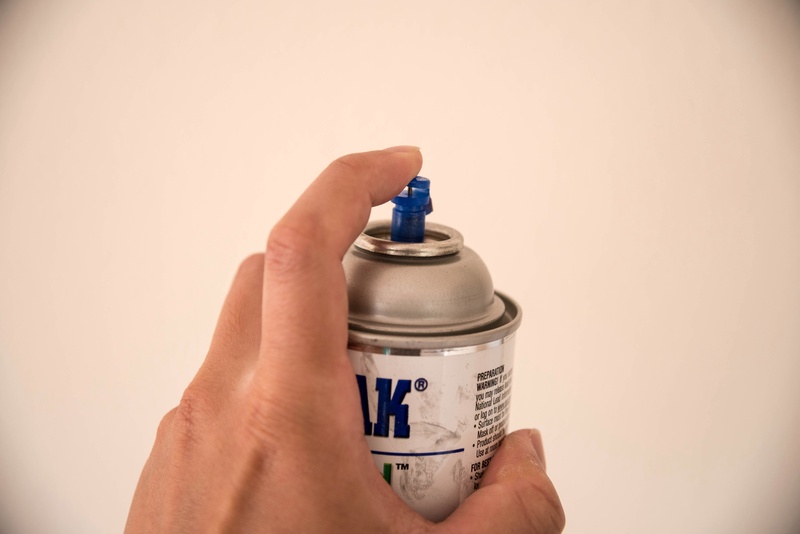 Most everyone is familiar with the process of spray painting. But on a grand historical scale, it’s still a relatively new invention. Prior to the late 19th century, all paint — whether residential, commercial, or industrial — was applied painstakingly by hand using a brush. Painting projects that take only hours or days today could take days or weeks back then, making the painting process incredibly time-consuming and expensive. Fortunately, as we approached the 20th century, all that changed, and we have two men to thank for it: Joseph Binks and Dr. Allen DeVilbiss. Joseph Binks was a maintenance supervisor at Marshall Field’s Chicago department store in 1887. Tasked with maintaining the whitewashing on the basement walls of the store, Binks eventually found himself frustrated with the length of time it took to complete the task. Marshall Field’s had thousands of feet of walls spanning multiple floors, all of which required painting — by hand with a brush — and after weeks of work, Binks’ crew had only finished one of those floors. Realizing this was an unsustainable situation, he decided to do something about it. He cobbled together a hand pump, a nozzle with a wand, and a container for the pressurized paint, creating what many call the world’s first paint-spray device. Despite drastically reducing the amount of man hours it took to paint Marshall Field’s basement walls, Binks’ invention didn’t truly start to take off until the 1893 Colombian Exposition in Chicago. The event had a large number of exhibit buildings that required painting, and as opening day approached, the vast majority of them remained untouched. Using his device, Joseph Binks was able to complete all of the painting before visitors arrived to see the exposition — literally and figuratively saving the day. From there, Binks was able to successfully transition his invention into a profitable venture. Around the same time, Dr. Allen DeVilbiss was having problems treating patients with sore throats. He found that any medicine he gave his patients wasn’t properly covering the affected area, because, when swallowed, it went straight past where it needed to be. So, like Binks, Dr. DeVilbiss decided to do something about it. He retreated to his workshop, and after some time, emerged with the world’s first atomizer. It was composed of a squeezable rubber bulb, a small tube, and a metal jar (if that sounds like an old-fashioned perfume sprayer that you may have seen in museums, it’s because, thanks to his son, DeVilbiss’ invention also branched off into the world of perfume). With his invention, he was able to effectively apply medicine to his patients’ throats. Word spread among doctors, and he soon found himself tending to a full-time manufacturing operation. The companies of both men survived and grew through the years, simultaneously competing and inspiring each other when it came to product design and development. It wasn’t long before the automotive industry realized the value of using a spray gun to apply paint to vehicles, and in the 1920s, automobile manufacturers became major customers of both companies. With multiple coats each requiring days of dry time in between, painting a car could take up to a month! 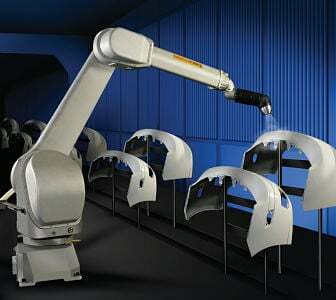 The use of air spray guns allowed them to shorten the painting time to less than a week — and when combined with new paint formulations, like fast-drying solvent-based nitrocellulose, this was trimmed to hours — thus significantly reducing the greatest bottleneck in the automotive production process. It was a huge improvement, and many more improvements would be made over the following decades, leading to better and better finish quality. Today, Binks and DeVilbiss are no longer in competition — they are now both part of the Carlisle Fluid Technologies family of companies. And with the decades of collective painting experience that Binks and DeVilbiss provide, coupled with a state-of-the-art laboratory in Toledo, OH, Carlisle is well-positioned to investigate how to further improve automotive paint quality. That’s why Saint Clair Systems has partnered with Carlisle Fluid Technologies in a series of lab experiments to quantify the relationship between paint temperature and surface finish quality. The first of these tests identified the degree to which the temperature of clearcoat during application impacts the quality of the finish. This is a huge discovery for the automotive painting industry. Driven by intense competition and an increasingly sophisticated customer base, automotive painting is a constantly evolving process, and we’re excited to be a part of the next chapter. 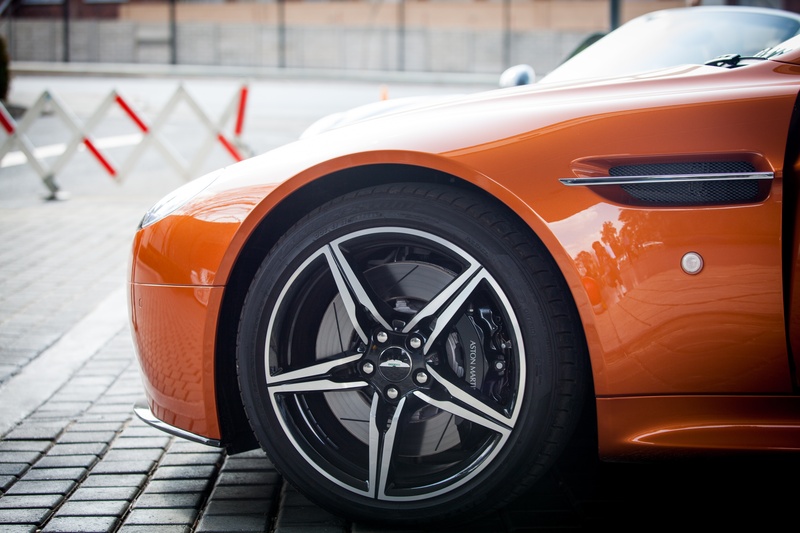 In our next blog, we’ll discuss some of the new automotive paint technologies coming down the pipeline. If you’d like more information on the series of lab experiments Saint Clair Systems is performing with Carlisle Fluid Technologies and how paint temperature control can be used to improve your automotive finishing process, contact us directly. How Does Paint Temperature Affect Different Automotive Paints? In our last blog, we discussed Henry Ford’s decision to choose one color for their Model T’s — black. 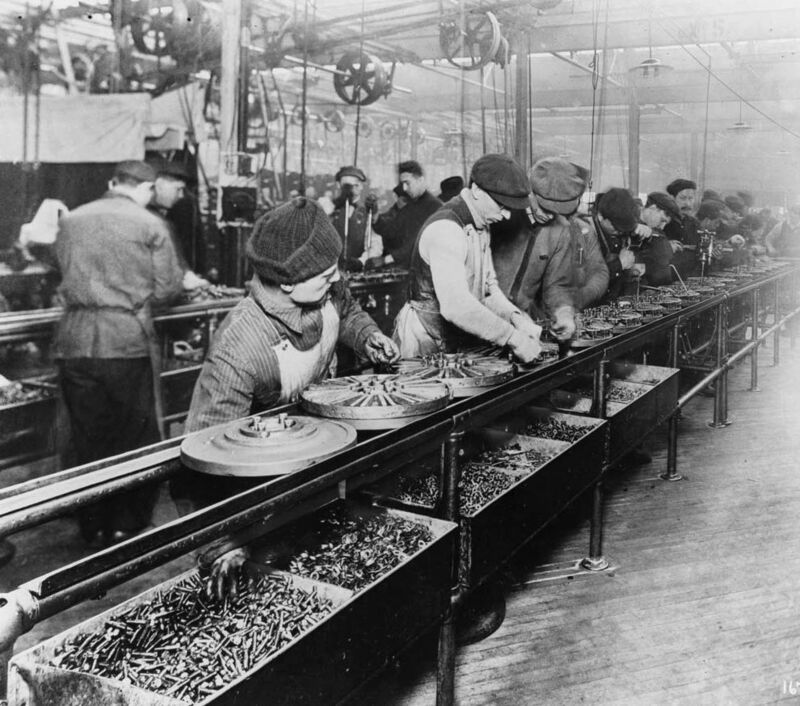 To support his assembly line concept, Ford required a fast-drying paint, and in 1909, the only paint available that met the needs of mass production came in only one color: black. To contrast with today, not only are cars available in a technicolor range of shades and hues, but they also utilize different types of paint to perform different functions. 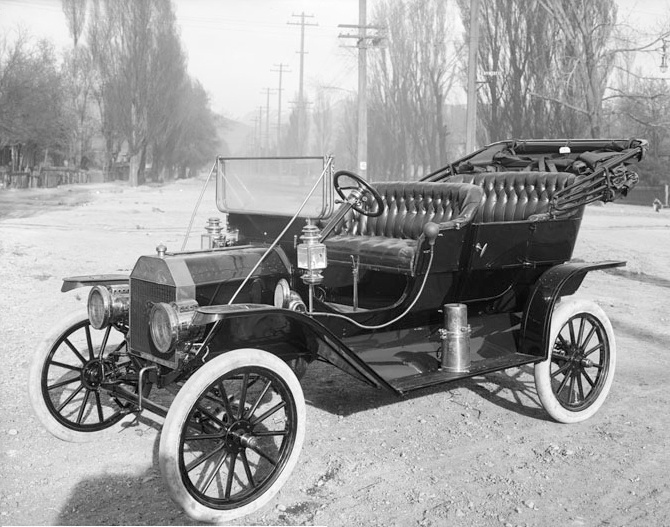 In reality, the Model T was offered in multiple colors as early as 1908, but he was experimenting with the assembly line and the resulting increase in production speed required a fast-drying paint – which, at the time, was only available in black.